What’s the deal with Deezer? Deezer is the music streaming app you need to know about, whether your music tastes lean more towards Drake or Debussy. 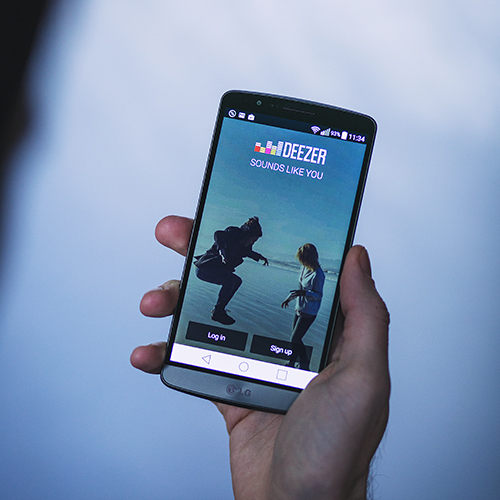 And as part of our new Go Binge service, we've joined forces with the likes of Deezer to provide you with infinite music streaming, without using up your data. So yeah, get on Three, get Go Binge, get Deezer. Go on, you know you want to. When it comes to apps, there are the ones you enjoy, the ones you need to get you through the long slog of your commute/work day/run, and the ones you just can’t live without. And then there are apps like Deezer, which tick all of the above. Unlike music apps like iTunes, which download your favourite tunes to your music library (totally fabulous until you start getting hassled by those “Phone storage space getting low” warnings), Deezer is the music streaming app set to challenge some of the existing services we know and love. Of course, it lets you stream songs instead of downloading them, and you can access the music you want anywhere and everywhere, even when you’re offline. Speaking of streaming, if you’re thinking about becoming a Three customer (or upgrading your existing plan), then streaming is better than it’s ever been thanks to our Go Binge service, which gives you access to all the movies, TV shows and music you could want without eating up your data. We’ve partnered with Netflix, TVPlayer, SoundCloud and – you guessed it – Deezer, to bring you this exciting new service. On top of all this, with Go Binge you can be your silliest self and use Snapchat to your heart’s content without using up your data! With 43 million+ tracks on offer, Deezer’s well-suited to the most fickle musical tastes – even if you have a Taylor Swift, Tame Impala & Tiësto playlist hidden somewhere in your musical shame-cave. It works across all devices (tablets, smartphones, your PC or Mac and your iPhone X), it’s ideal for the on-the-go listening, plays through your TV or Hi-Fi and even works with some of the latest car stereos. You won’t believe some of the places people are streaming these days – for an in-depth look, check out our Binge Files report, which tells you everything you want to know. Deezer will also give you tailored recommendations based on songs you love. You can follow your favourite artists, and Deezer’s own super knowledgeable music editors, to stay on top of the latest releases and discover new songs or artists that you’re bound to love. 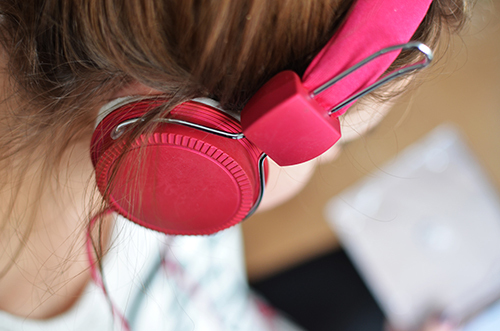 And don’t worry about any distractions – your listening experience will always be ad-free. If work’s too chaotic or you haven’t yet emerged from the haze of having a newborn baby seven months ago and you need a soundtrack to your life but just don’t have the time or energy to put one together, Deezer also has a lazy/bespoke option called Flow. Think of it as your personalised radio station that tracks what you like to listen to and what’s in your library, and puts together a modern mix-tape of your non-stop favourites. And if you’re that person who needs to know every song lyric ever – you know who you are – or are just trying to teach your eight-year-old the lyrics to Run the World (Girls) by Beyoncé (because, empowerment! ), Deezer lets you see all the lyrics on the screen of your device as you’re listening. Once you’ve learned those lyrics you can put them to use with the best karaoke apps and sing your heart out. The coolest thing about Deezer? It’s not all about the music: the app gives you access to over 40,000 news, sports and comedy radio shows and podcasts (just check out the News & Entertainment section of the app for all the info you need).